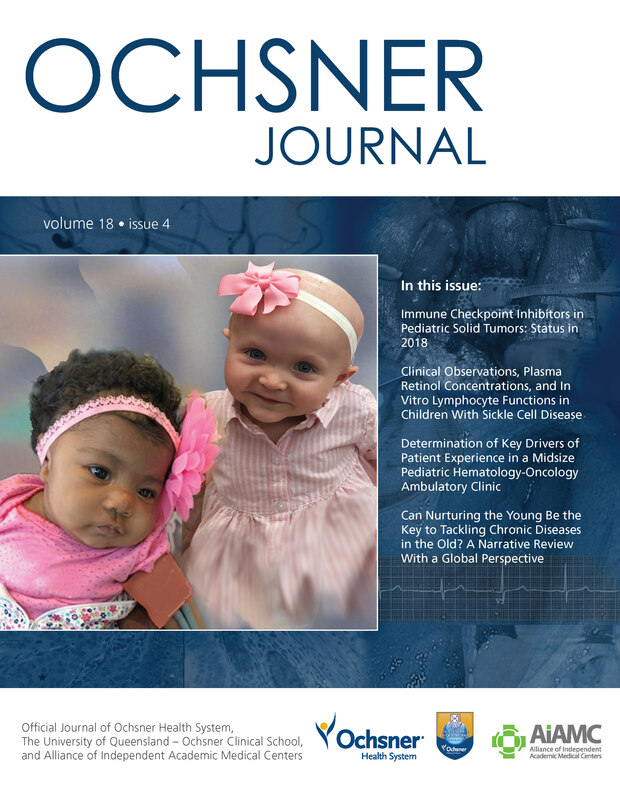 The theme of the winter issue of the Ochsner Journal is pediatrics, and its focus is broad, with a wide array of topics by contributors from across the world. From many different perspectives, the articles in the winter issue stress the need for pediatricians to be proactive in t he global arena to prevent adverse mental, physical, and developmental effects on children. Both globally and domestically, famine and food insecurity, war and violence, and incarceration of parents and children secondary to illegal migration all have significant and profound effects on children. For example, one article thoughtful examines how childhood deprivation of all kinds can lead to adult health consequences, and a number of articles in the realm of social pediatrics explore children’s perceptions of food security, pediatricians’ promotion of smoking cessation among caregivers, the role of medical personnel in the prevention of child marriage in India, and the value of summer camps for children with sickle cell disease. The articles on nutrition and immune functions in sickle cell anemia and on advances in treatment of sickle cell disease spotlight the significant amount of research being conducted in this field and the clear evidence of significant decreases in mortality and morbidity in children with the disease. Another article brings us up to date on advances in the use of immune checkpoint inhibitors in the treatment of pediatric cancers, and three papers on pediatric dentistry highlight the importance of the collaboration between pediatricians and the dental team in the management of complex dental disorders. The Ochsner Journal is a quarterly, peer-reviewed medical journal that is fully searchable and discoverable at PubMed. To subscribe to the Journal and receive notification each quarter when an issue is published, subscribe to the electronic table of contents by completing this brief form. ← Digital vs Print, How Will We Read?